There aren’t many occasions where we get the opportunity to buy diamonds, at least for the majority of us. But, when it comes to the time that you are considering treating yourself, or another person, buying loose diamonds online may seem like a risky idea. However, if you do your research, buying a diamond online can actually be extremely safe – not to mention giving you much better value for your money. In order to minimise the risk of buying diamonds online as much as possible, we have gathered a number of tips to make you stay safe online. When it comes to diamonds, you should never judge a book by its cover. There are a lot of factors that influence the price of a diamond, mainly stemming from the 4C’s. These are the factors that grade the value of a diamond, based in its Cut, Clarity, Carat and Colour. Take the time to read up about each of them and understanding the impact that each has on value and price. Other elements that affect the price of a diamond are florescence, polish and symmetry, all of which will help to determine how much you pay. Reading up on this before hand will help you to understand exactly what you are paying for. If you have found a diamond you like, always check to ensure that it has a certificate to prove its authenticity. 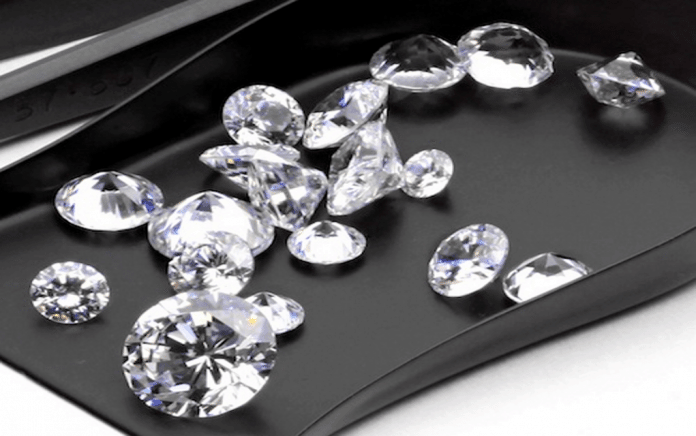 The most common and reputable diamond grading certificates are GIA, AGS and EGL. Always ask to see the certificate before you make a commitment to buy as it will give you all of the information you need about the diamond, including its size and any flaws or inclusions it may have. Never buy a diamond that doesn’t have a certificate, as there is no way of guaranteeing that it is real. It sounds like an obvious tip, however many diamond suppliers wont show you a picture of the actual diamond that you are buying, rather so an image of a similar diamond. Whilst this is a common practice for mass produced jewellery that doesn’t have a lot of value, diamonds are unique and often worth thousands, therefore you should ask to see exactly what it looks like. If you have never bought a diamond before, it can be hard to know who is trustworthy and who isn’t. However, there are a number of tell tale signs that can help you distinguish the good from the bad. Companies that provide detailed information about their history, certifications or memberships to relevant societies are often more reliable than those who don’t. If a company says they are part of a society, such as the Responsible Jewellery Council, go on their website and make sure the company is listed. If there is a phone number on the website, give them a call and talk to them about the diamond you want to buy, this will give you the opportunity to discuss your purchase with an expert. Don’t get caught out by purchasing a diamond from a store that doesn’t have a returns policy, or has a very poor returns policy. To avoid any conflict, always read the small print so you know your rights. Most online retailers have a 14 day return policy, where you can send your diamond back if you’re not happy, but make sure you ask as many questions as possible so you what exactly in what circumstances you are able to return. It is also important for you to make sure that they provide a safe system for you to make a return. Sending a diamond back in the post is not worth the risk, so unless they have a secure method of collection, think carefully about whether or not to buy the diamond.